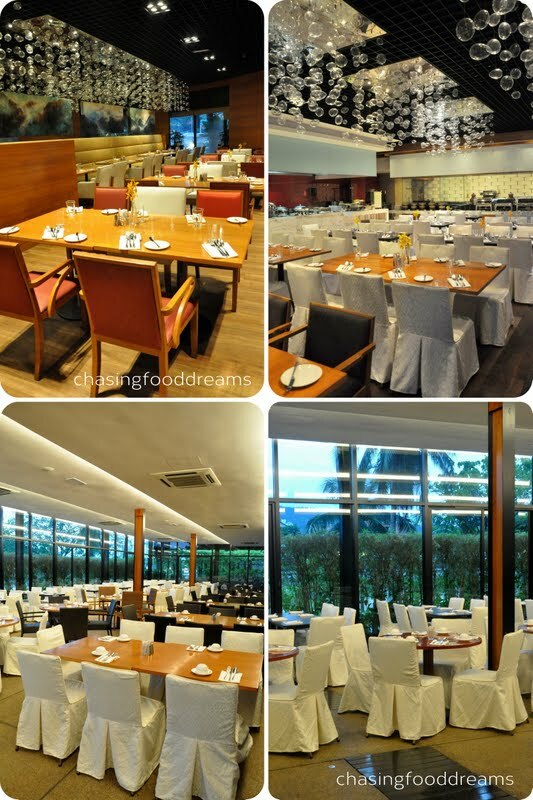 CHASING FOOD DREAMS: Cinnamon Coffee House, One World Hotel: Aneka Selera Kayanganku Promotion for Buka Puasa! 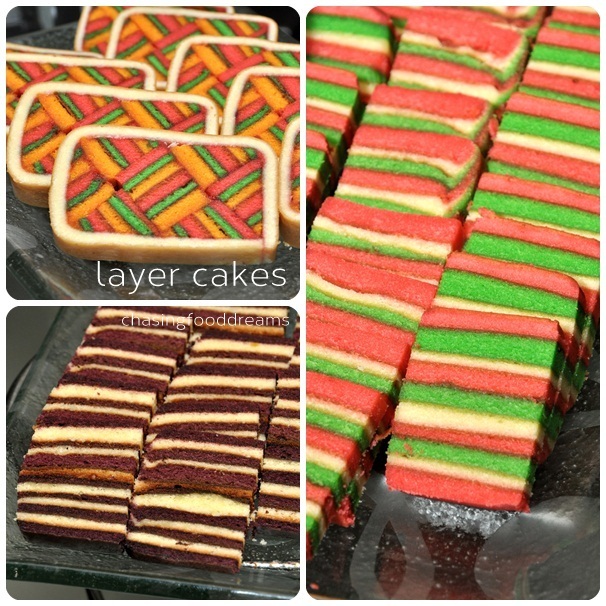 Cinnamon Coffee House, One World Hotel: Aneka Selera Kayanganku Promotion for Buka Puasa! 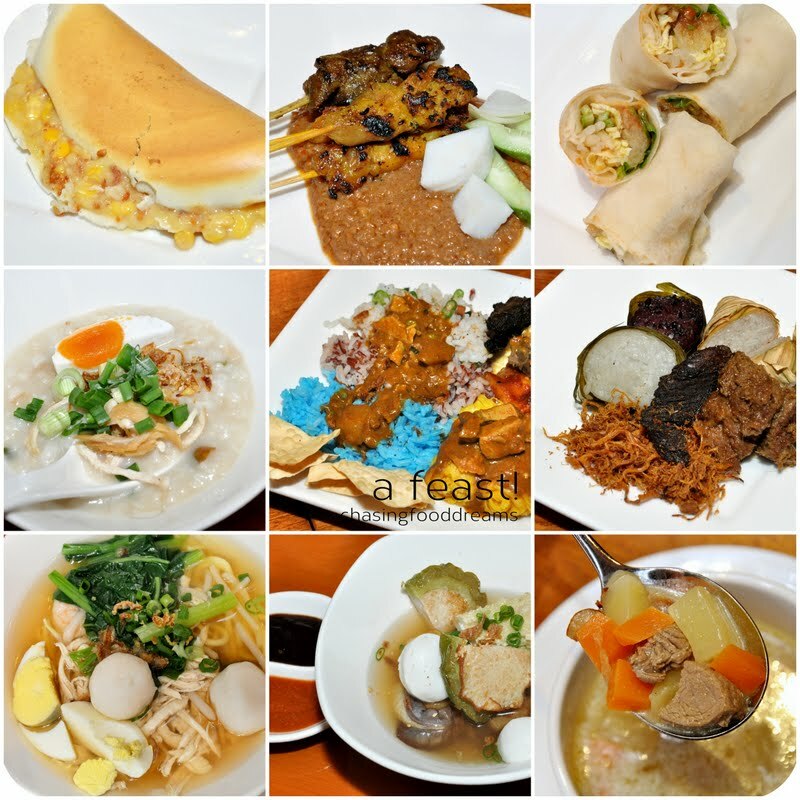 Spoilt for Choices at Aneka Selera Kayanganku Feast! I have literally run out of words for buffets! Mind-boggling? Plethora? Kaleidoscope? The buffets in town are just getting bigger with more choices each year. 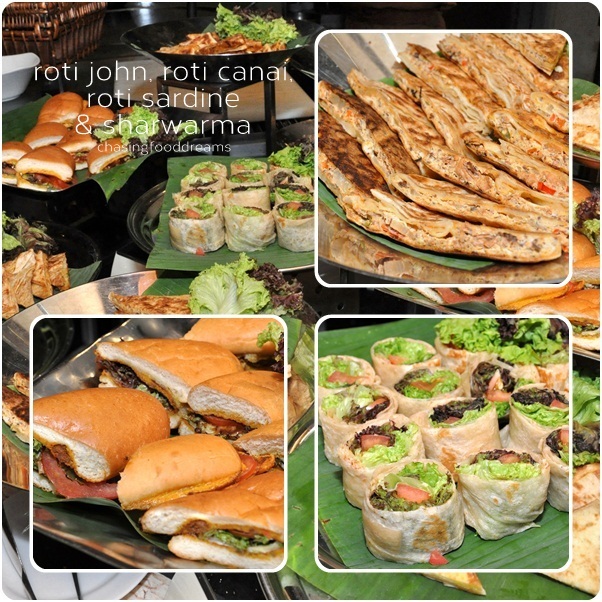 This time, I landed in One World Hotel at Cinnamon Coffee House for their renowned spread of sumptuous buffet. Perfectly in time to usher in the Buka Puasa month, One World Hotel invites guests to experience the best of Malaysian delights synonymous with their theme of Aneka Selera Kayanganku. From 1 July to 8 August, foodies are treated to an amazing spread of home-cooked traditional favorites, delectable Chinese dishes, tempting Indian cuisine and Malaysian hawker food. 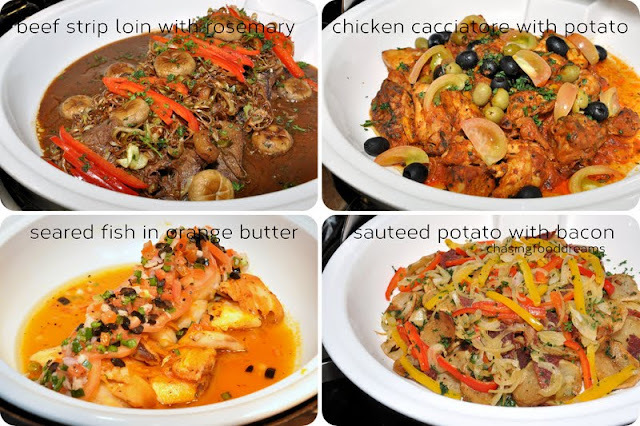 It is an unforgettable feast for the eyes as well as the palate with a diverse menu of over 100 dishes! One will be greeted by the delectable station that has Roast New Zealand Whole Lamb with Briyani Rice and Vegetables served with Mint Sauce, Black Pepper Sauce or Mushroom Sauce. Savor pieces of tender lamb and pile on the sauces. Besides lamb, the coffee house features Roast Whole Deer served every Saturday night! 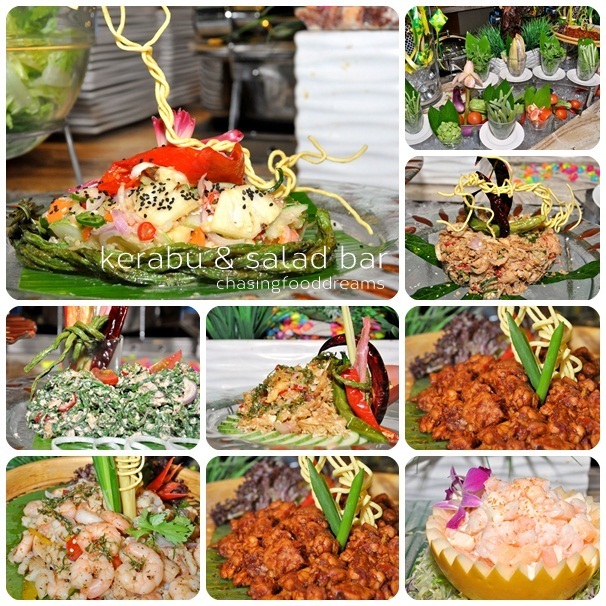 Hitting the salad and appetizer bar, choosing a few will be difficult as there are plenty of choices from Umai Umai, Kerabu Telur, Kerabu Pucuk Paku, Jelatah Harian, Acar Buah, Kerabu Mangga & Betik Muda , Kerabu Ayam to Smoked Chicken Platter with Mixed Pickles, Potato Salad with Shrimp, Shredded Duck Salad with Lemongrass, Shrimp and Honeydew Salad, Jelly Fish with Spicy Sauce and Crushed Peanut, Assorted Cold Cuts and Condiments. 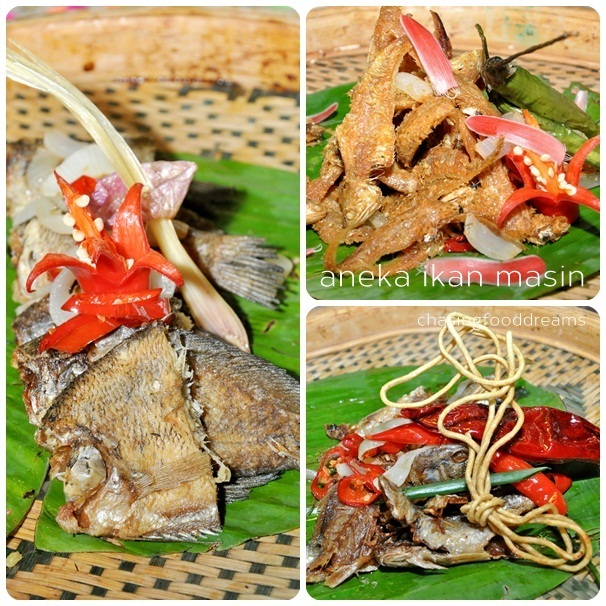 Let’s not forget the Sambals, Ikan Masin and Ulam to whet the appetite before mains. 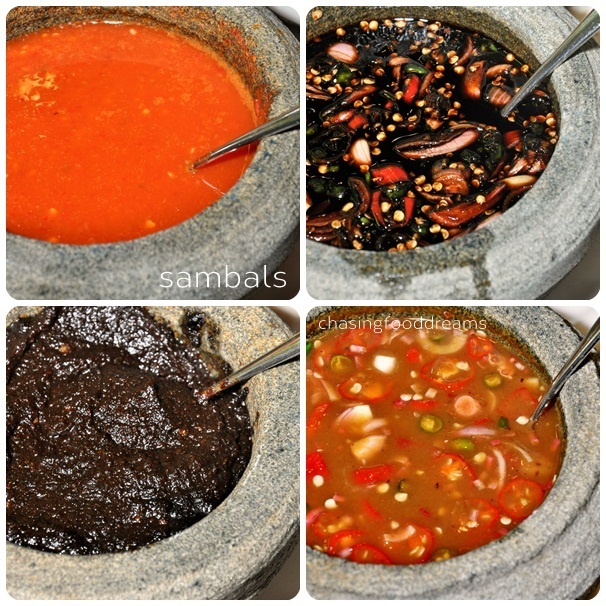 Even sambals choices are plenty like Sambal Tempoyak, Budu, Belacan, Cincaluk, Hijau, Chili Manis, Mangga Pedas, Kicap Pedas, Asam Jawa and Thai Chili. A good bowl of soup might be a wise choice and with a rotation of 6 menus daily, one can expect soups like Sup Kambing Berempah, Sup Ayam Pedas, Sup Daging dengan Kentang, Tom Yum Seafood Soup, Sze Chuan Soup with Crabmeat, Pumpkin Soup and Shellfish Bisque Soup with Fresh Basil. Bubur Lambuk is also a good choice to start as the warming bowl of spiced up porridge will warm up the tummy for more goodies to come. Check out hot buffet counter for an array of authentic Malay dishes to break fast like Ayam Percik, Daging Bakar Asam, Daging Rendang Tok, Ikan Patin Masak Lemak, Kupang Masak Berlado, Siput Sedut Masak Asam Manis, Daging Rendang Tok Ikan Tenggiri Pajeri, Nangka Muda Lemak Cili Padi dengan Tulang Ikan Masin, Lala Tumis Petai Asam Pedas, Ayam Masak Minang, Kari Kepala Ikan Mangga Muda, Daging Kalio, Udang Rendang Berkerisik and Tempoyak Pucuk Ubi Muda. Believe me, there is more and dishes are on rotation basis. 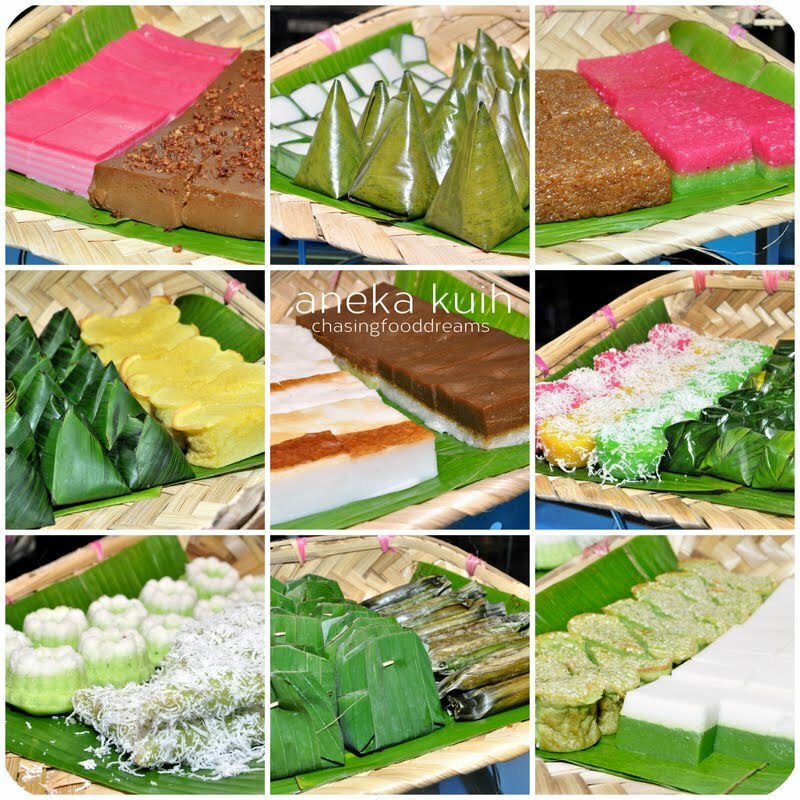 Make sure to hit the station serving up my all-time-favorite Lemang, Ketupat Palas, Nasi Himpit and Serunding. There is just something so delicious about savoring soft sticky rice with dried spiced up Serunding and I always make sure to savor this with the thick rich gravy of Rendang for full satisfaction. Seeking out the live stations, one is treated to a plethora of dishes to choose from. Making rounds after rounds, I stared in awe at the luscious spread of hawker stalls offering items such as Satay, Roti John, Shawarma, Dim Sum, Hainanese Chicken Rice, Yong Tau Foo, Popiah Basah, Roti Canai and Murtabak add on to your dining pleasure. 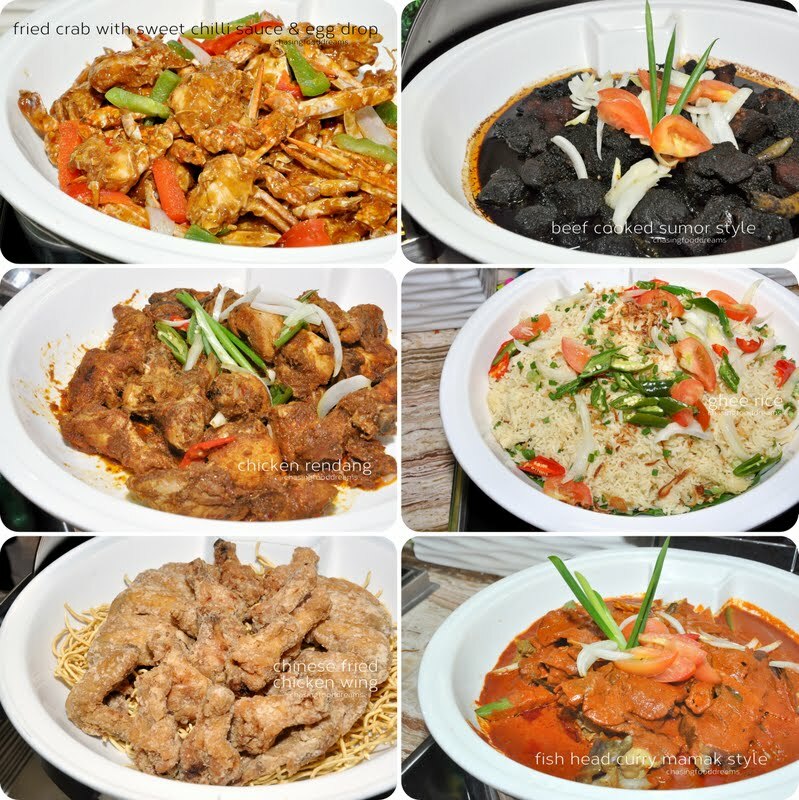 Not forgetting ala minute dishes prepared on the spot are Char Kway Teow, Nasi Goreng Kampung, Mee Mamak, Chinese Ipoh Noodle Soup and Fried Mee Hoon. 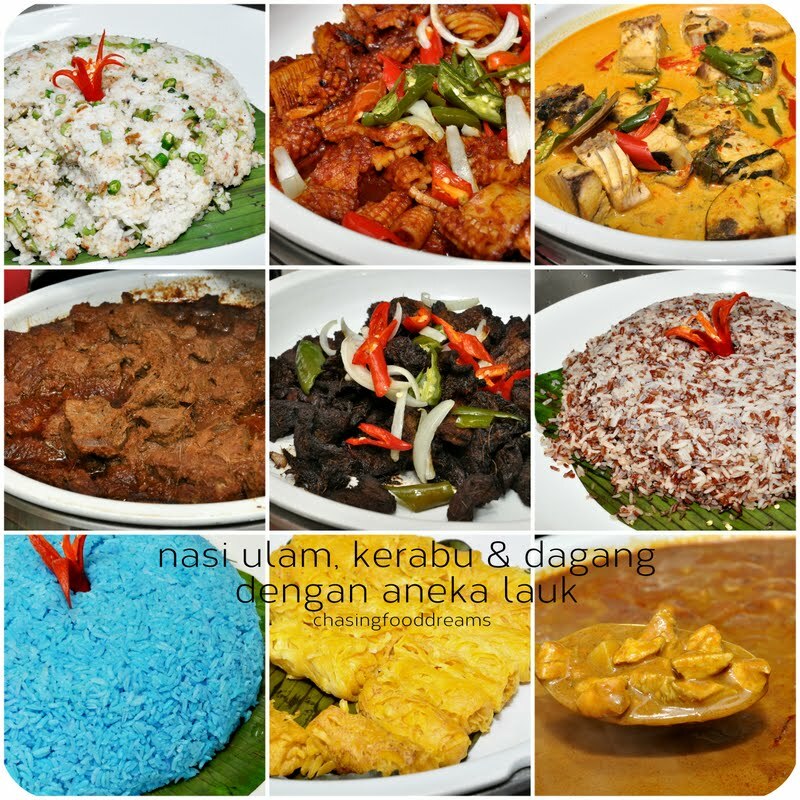 There is also an Aneka Panggang station featuring Squid, Crab, Lamb Shoulder, Cencaru, Tenggiri, Kembung, Pari, Terubuk, Ayam Percik and Ikan Percik. Another station features an array of deep fried savory and sweet snacks like Pisang Goreng, Sukun Goreng, Cempedak Goreng, Cucur Kodok Pisang and Cucur Udang. Love your spices? 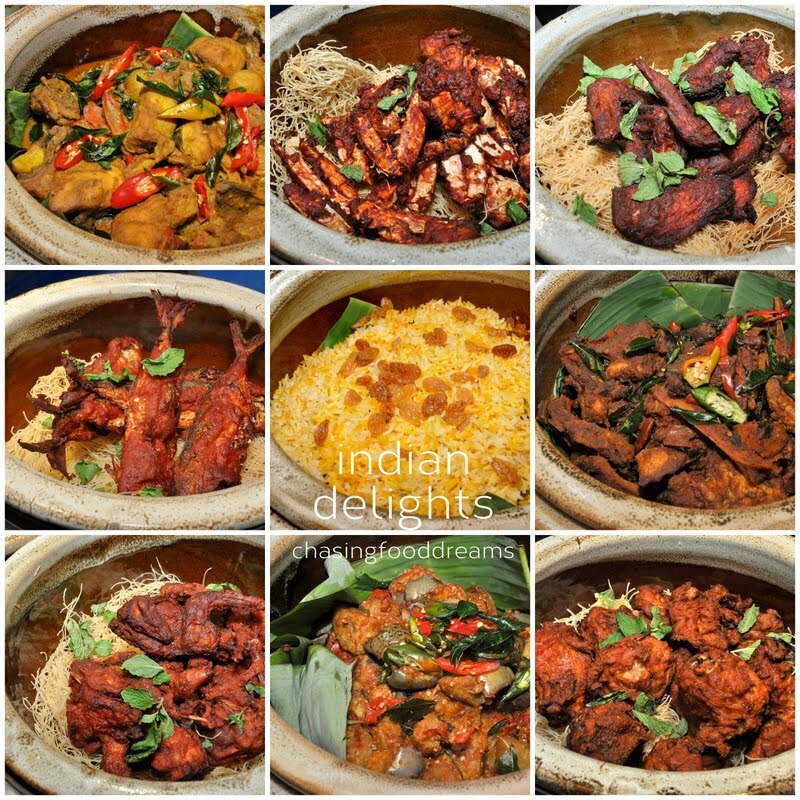 Hit the Indian buffet for spicy delights like Briyani, Dhal Sambar, Madras Chicken Curry, Lamb Varuval, Coriander Chicken, Lamb Masala, Pumpkin Masala, Chicken Tandoori, Chicken Tikka, Lamb Kebab, Chicken Kebab and Assorted Chutney. There is also claypots of Fried Quail, Chicken, Kembung and Crab all marinated with Indian flavors. 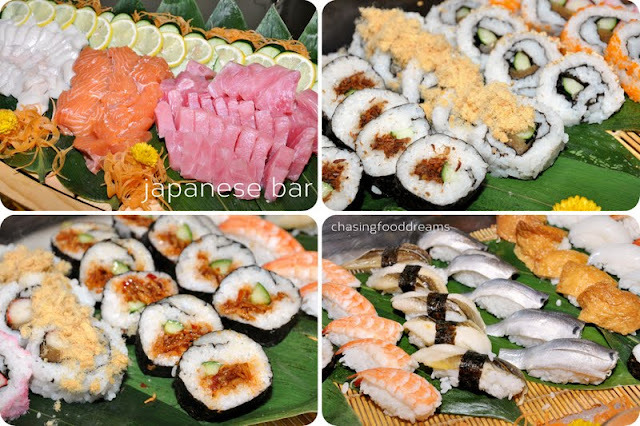 If you must have your international delights, plenty of dishes awaits at the Japanese Bar where a feast of Sashimi, Sushi, Japanese chilled appetizers, and Makis will satify your inner raw appetite or head over to the Western buffet where you can dig into Chicken Cacciatore with Potato, Seared Fish with Orange Butter Sauce, Beef Strip Loin with Rosemary Sauce, Seafood Lasagna, Sauteed Potato with Beef Bacon, Lamb Shoulder with Tapenade, Chicken & Mushroom Pie, Chicken Piccata, Seafood Ragout and more. 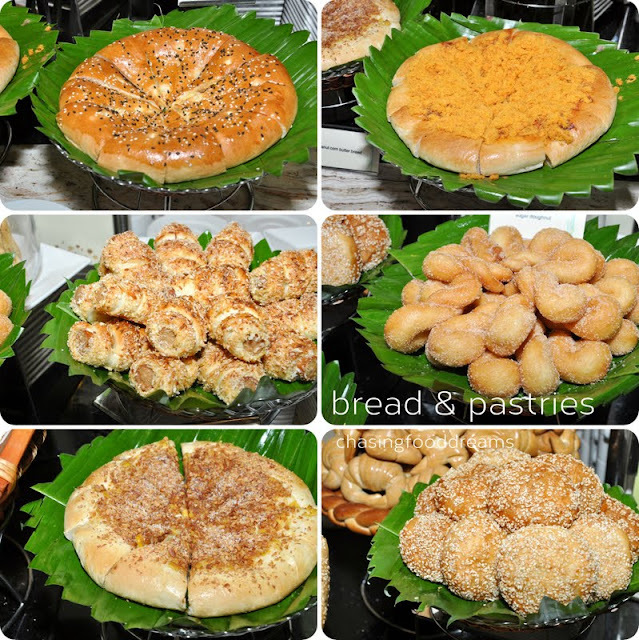 Fillers like Bread and Pastries are not the usual as these are all jazzed up with various fillings and fresh Pizza and Doughnut are just so tempting. 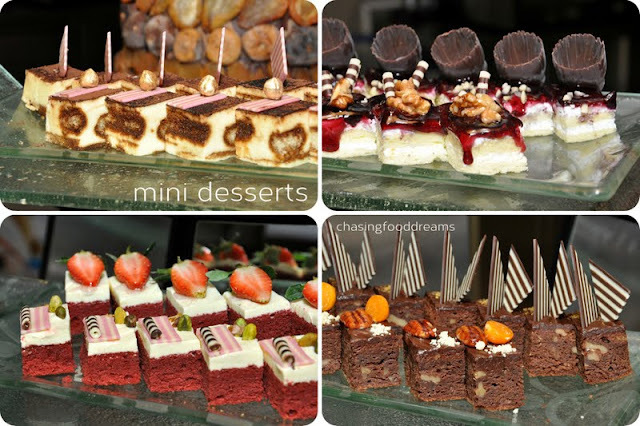 Though one might not have room for desserts after that huge feast, looking at the spread of sweets might change your mind! 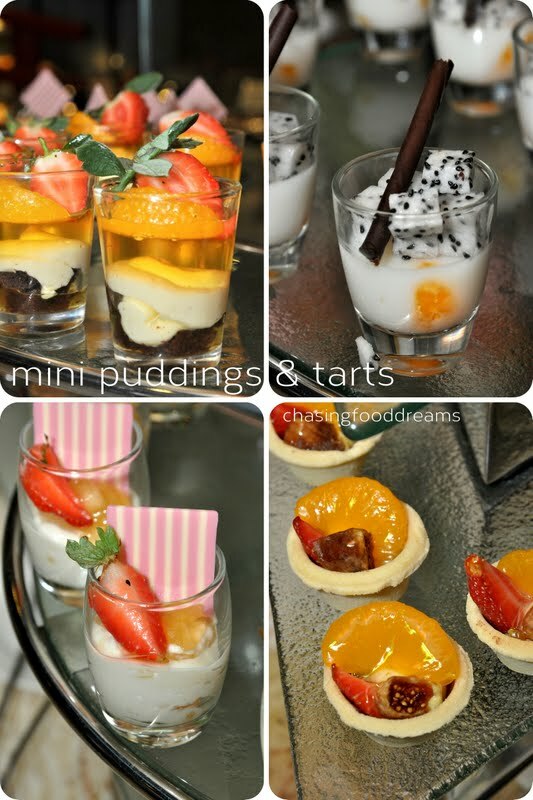 Finish off your meal with marvellous desserts like Ice Cream Goreng, Bubur Jagung Manis, Chilled Longan and Peach, assorted Ice Creams, Ice Kacang with Condiments, Cendol with Condiments, Chocolate Fountain, Pandan Kurma Layer Cake, Nutmeg Coconut Pie, Chocolate Moist Cake, Kurma Cheese Cake, Kurma Linzer Tart, Honeydew Pudding in Glass, Panna Cotta, Strawberry Mouse and more. 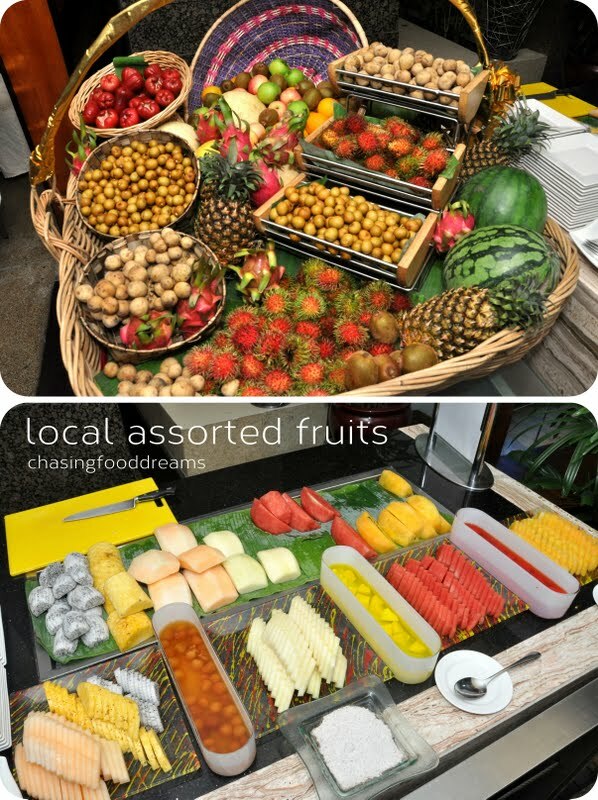 There are also Cold Beverages and Teh Tarik to wash down the meal while the super enormous basket of local Fruits might just be your cup of tea to end the meal! 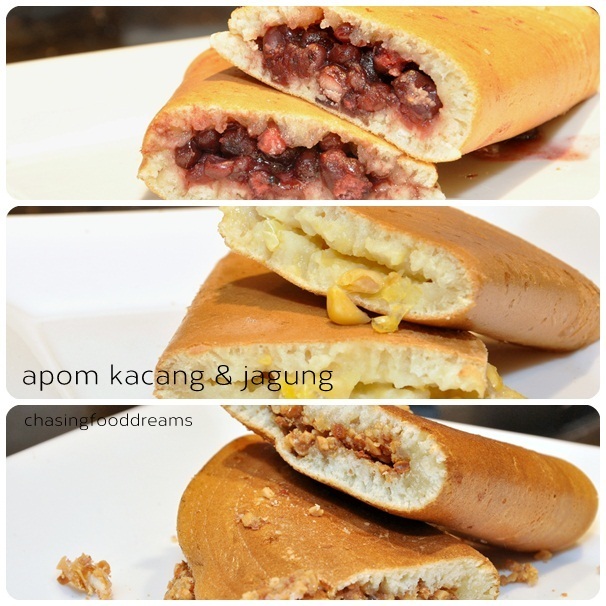 High marks go to their freshly made Apom with Peanuts, Red Beans or Corn, Ice Cream Goreng and the local Aneka Kuih Muihs. My apom was doused with plenty of crushed peanuts, corn and sugar, making it so good and creamy while the hot freshly Fried Ice Cream is marvelous with a crispy bead layer and cold creamy ice cream inside. I drizzled some melted chocolate over for extra pleasures! It’s an enormous buffet out to please many! In fact, the above is just a fraction of what they have to offer. With six different menus daily, it would still be hard to taste everything. 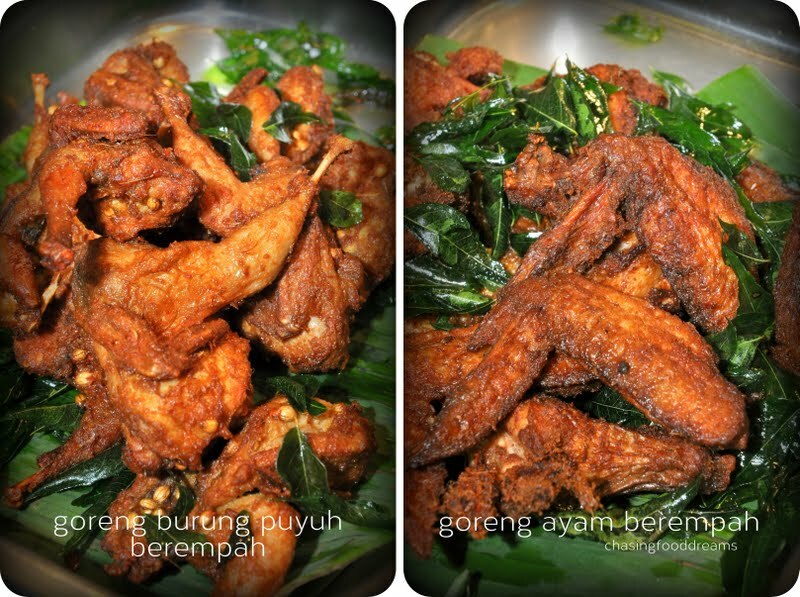 Check out Cinnamon Coffee House to enjoy a scrumptious feast of Aneka Selera Kayanganku to break fast this holy month. There are ample parking spaces and surau facility available. Everything looks so good! My kind of cuisine, Malaysian...the kerabu, the ulam. Drool! Drool! I wish they do not have those western cakes and desserts though - not in line with the general theme.